You may have looked at renting or buying a viewer to organize and see your old movies. There’s a much better way! Convert your old films (8mm, 16mm) to a digital format – and organize them on a DVD in chapters, where each reel becomes a chapter. It takes care of three things all at once. (a) Preserving your memories forever (b) organizing those memories (c) and making them easy to view and share. If you have a lot of reels with film on them, you may have to have all of them transferred, because there’s no way we can offer you a “preview” of the content. There’s a lot of work that needs to be done before we put it on our machines (like cleaning, lubrication and possible repairs), so we really can’t help you identify what’s important to you and what isn’t. 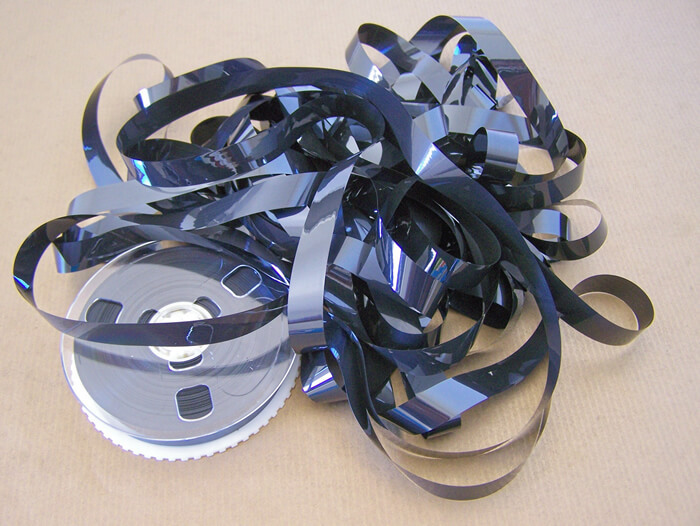 We can fit about 1,600′ of 16mm film on a DVD or Bluray, which is about 2 hours of total time. This is impacted by the speed with which the film was shot, but it’s a good rule of thumb. There is also another cool option to consider. 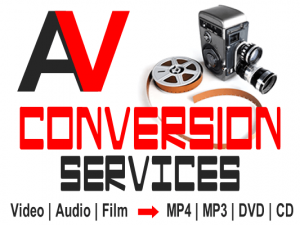 Since your film consists of frames, and we digitize each frame, you also have the option of having each and every frame converted into JPEG or TIFF formats, all in sequence. Basically, you’ll end up with your entire film reel compiled as a compilation of stills! Assuredly leaving you with thousands of incredible quality shots to choose from. Since the transfer takes place at 1920 x 1080p HD, the images will look absolutely amazing! If you’re planning on this to print some of the images, the TIFF format is probably the best, since they’re “lossless”. If your Super 8 has a sound stripe, that will also be transferred and digitized with your film. 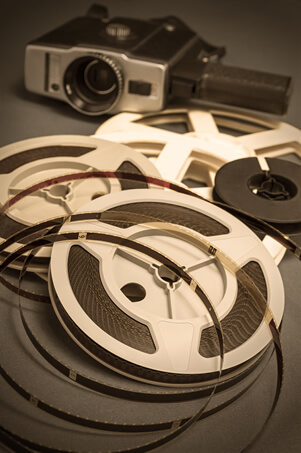 We also do 16mm sound film, and since that’s very rare, we take extra care with those to ensure the best possible quality of transfer. There is a small extra per foot fee for transferring sound film. Our enhanced film transfer will perform scene by scene color correction, and can improve brightness and contrast in the scenes. This can be a very valuable part of the transfer, since all film shifts in color over time. Once your film is digitized, a technician will analyze the color balance using a digital vector scope – and balance it out scene by scene. This is particularly valuable when you’re scenes move between indoors and out, since each scene needs a different color balance. Of course, when all the transfers are done, you’ll get your originals back with your new digital versions in your selected DVD, Bluray or HD video file. Since before we even start the transfer process your film is cleaned, lubricated and repaired, your film will be returned in its revitalized condition.